Take a day out from your work schedule and spend some quality time with the whole family, at Madhuvana. This holiday village recreates the blissful simplicity of your childhood days with traditional games, bike rides and a pond to dive into. Take a break from your city life to hop and skip on a winding path along a farmland at Madhuvana, or take a dip in their natural pond. Grab your kids and go crazy playing traditional Indian games like Goli (marbles) or Lagori (seven stones) letting nostalgia take over you. After tiring yourself from all that outdoor fun, settle into their restaurant and indulge in some authentic Karnataka cuisine. If you’re an adventure junkie, they have also have options of paragliding and bike rides! Since Madhuvana’s theme is eco-friendly and nature inspired, you’ll see that the pillars of conservation - earthly architecture, healthy food, energy conservation and proper waste management are all blended and showcased through their commitments of hospitality. The resort makes for a great destination for corporate offsite, team building activities and bonding sessions with family! 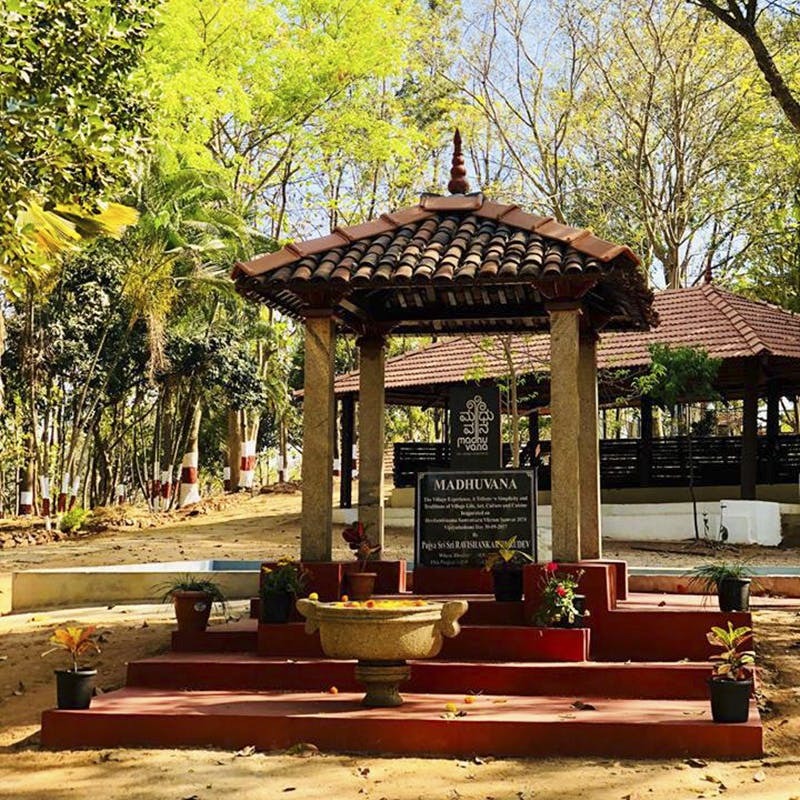 With their costs at INR 750 per person (inclusive of food and activities), Madhuvana isn't too expensive for a whole day of fun and activities. If you plan on visiting in huge numbers, we suggest letting them know in advance for discounts and customisations in their services.